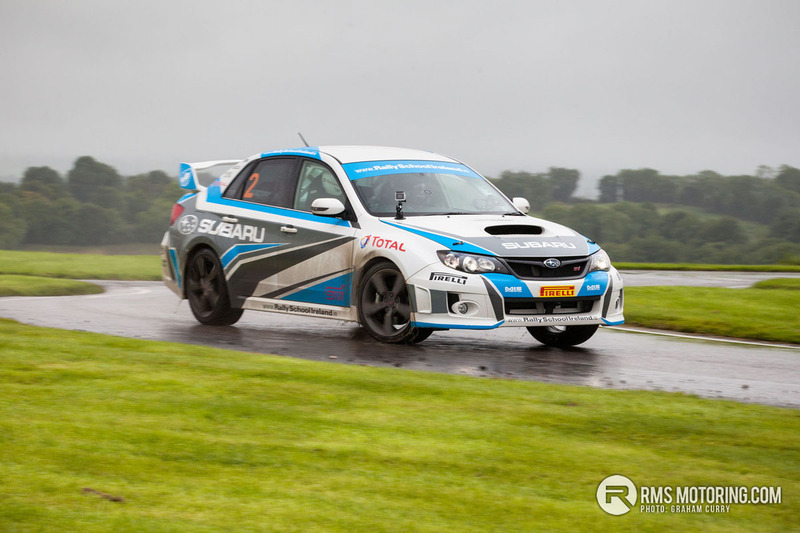 We recently visited Rally School Ireland in Monaghan alongside Subaru NI and in the company of the fastest racing driver in Northern Ireland, Colin Turkington from Portadown. 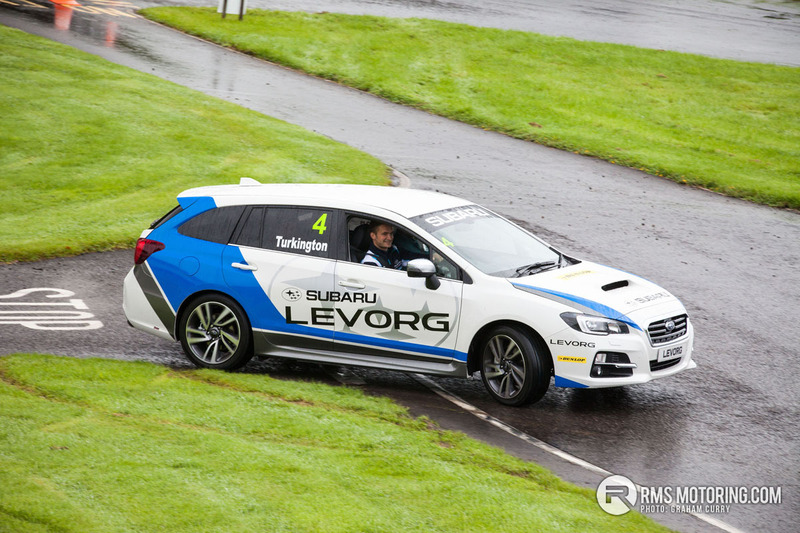 Colin kindly took time out of his hectic British Touring Car Championship schedule to give us a taste of what it’s like in a Subaru Levorg with the master at the helm. 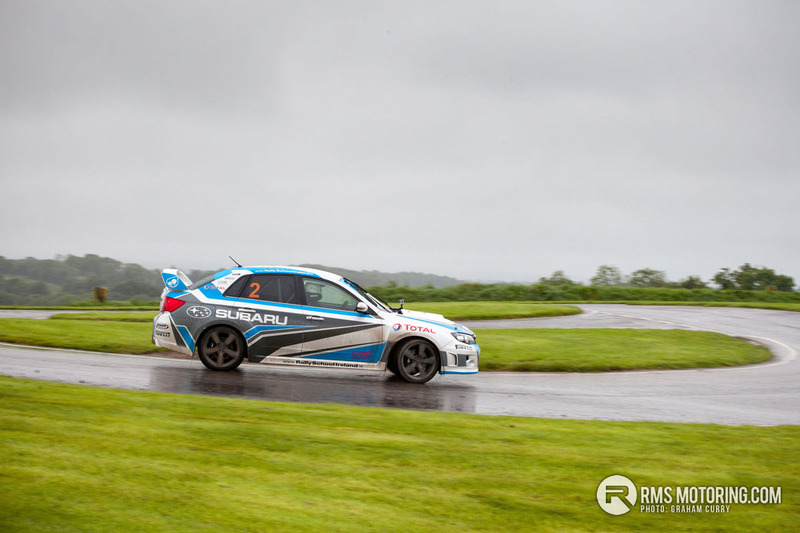 Colin races for Silverline Subaru BMR Racing in a Subaru Levorg that is purpose built for the highly competitive series and having only had his seat fitting the night before the cars first ever race at the start of the year Colin and the Levorg got off to an expected rocky start. Over the season however Colin, the Levorg and his team mates have proved a force to be reckoned with. Two times BTCC champion Turkington, currently sits sixth overall in the championship and is the leading Subaru of the four car team and after some teething problems as expected for a car with little to no testing pre-season; Colin has claimed several podiums following some astonishing drives. 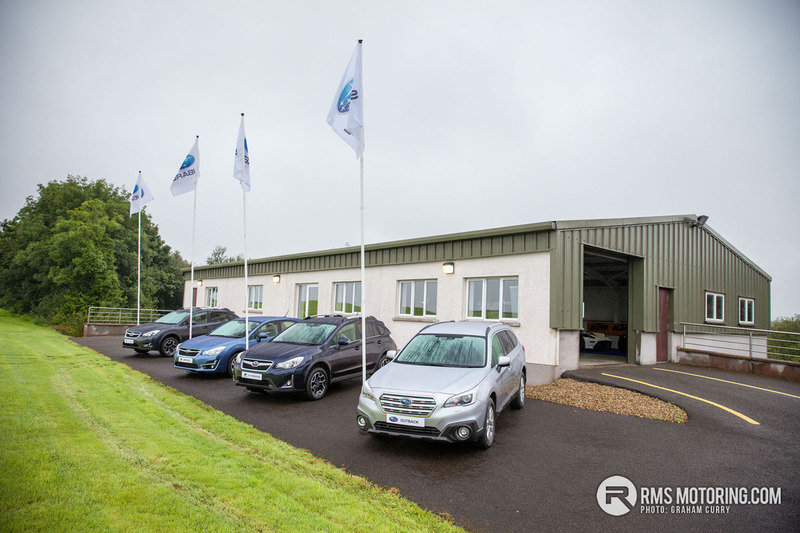 So onto the day in hand and after a quick catch up with Colin we had the chance to browse and drive the full Subaru range that was on display at the popular driving school just across the border. The main aim of the day was to drive the Subaru’s new Levorg on track. Having reviewed one on a previous road test, I was keen to get going. Being highly impressed with the agility of the low slung estate car from the Japanese maker, and having plenty of track driving experience I was really looking forward to seeing what the Levorg could do with all dangers found on the open roads removed. A proper test of speed and cornering and with all things in the Emerald Isle, the weather wasn’t kind on the day. This to me was best though as it meant the asymetricyal all wheel drive system could show its full potential in tricky conditions. 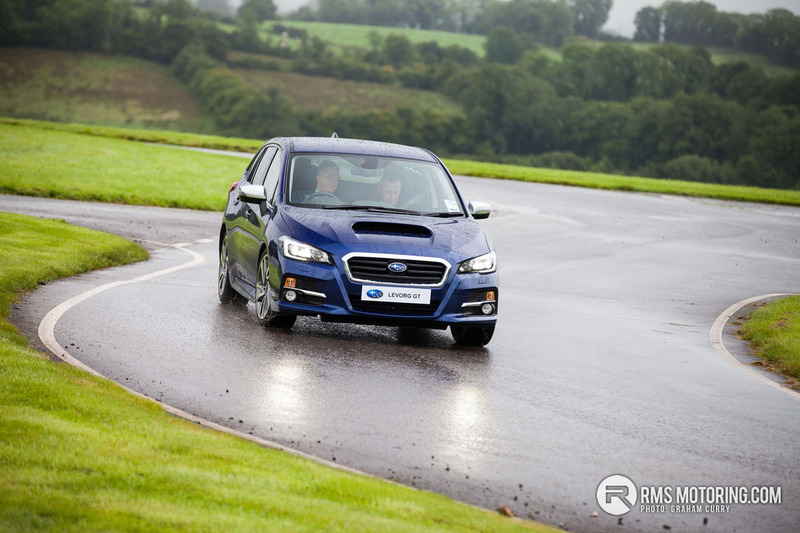 Needless to say the Levorg performed on track just as expected with its 1600cc turbocharged boxer engine and CVT gearbox making light work of the slippery, technical track. Then it was Colin’s turn to drive in a replica of his race car and if ever there was a way to make you look slow then it was clambering into the car for a few laps with Colin. Colin explored the limits of the Levorg a little more than I had dared and yet again the car didn’t put a foot wrong with some under-steer soon turning into a little over-steer in a very controllable fashion and without any drama. 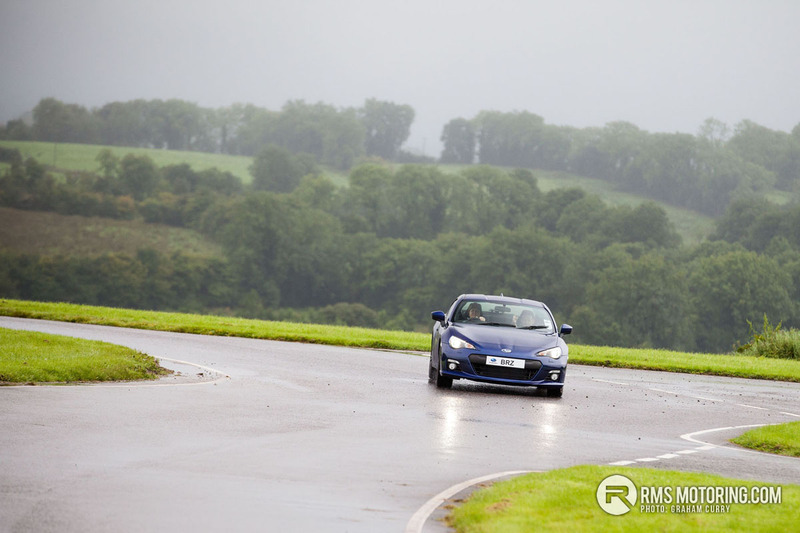 After this unforgettable experience it was into the driver’s seat of the Subaru BRZ, the brand’s only rear wheel drive offering running a six speed manual gearbox with a 2000cc boxer engine up front producing just shy of 200bhp. Plenty of power for the road and an engine that isn’t shy when revved hard combined to a chassis that craves to be exploited at every opportunity meant I entered into the circuit with the tail hanging just perfectly. Being a big fan of rear wheel drive I was sure to make the most of the slippery surface and I will confess the BRZ is much livelier than I expected under such conditions and on my first lap didn’t feather the throttle with as much respect as I should and pirouetted down the track to jovial laughter with my instructor. After a few laps of pure enjoyment it was into the Subaru Outback for a practical demonstration of Subaru’s class leading “eyesight technology”. This is a camera system built into the windscreen which utilises two cameras and a lot of electronic trickery that I will not even try to comprehend. The system will brake automatically in the city to avoid colliding with pedestrians or cars alike, it is also used for the adaptive cruise control meaning that when you are cruising along the motorway with cruise active and the car in front slows, the Subaru will pre-empt the differing speeds and slow you much faster than a radar type system that most manufacturers use. Many cars I have reviewed have been fitted with similar technology, and at motorway speed the adaptive cruise part is phenomenal to use however I have never got to use the “city brake” type function due to not having a “pop-up foam car” to test it against. Well Subaru changed that for me and for the first time I was able to sample what the predictive eyesight system can see and react too, sooner than the human could react and indeed find out just how controlled the 30mph to zero actually is whilst I let go of all controls. Impressive is one word, mind blowing another and Subaru plan to implement this technology as standard across most of its range in the coming years. From here it was onto the track again to watch Colin explore the limits of the Rally School Ireland, rally prepared Subaru WXR STi. With RSI founder David Smyth in the passenger seat, it was a joy to watch Colin get to grips with the car and over several laps really show the cars potential whilst at the same time sharpening his skills ahead of a race a few days later. Once finished I jumped into the driver’s seat of the rally prepared WRX STi and having reviewed one on the road (Read the full road test on the Subaru WRX STi here) I was yet again eager to get on track, this time a little too eager though as I out-braked myself and visited the scenery, none the less I got back onto the tarmac for an enjoyable, tail happy few laps. The full Subaru range can be viewed online at www.subaru.co.uk and with dealers in most corners of the country don’t hesitate to get a test drive and see what Subaru fits your needs perfectly. The Levorg is nice however - That Wrx STi is epic to drive. I drove the Number 1 version. It wasn't rally prepped but had been stripped. Rsa-LVx8tFo Is the Levorg now a track car up there? Would be tempted to take a run up if that was the case.. Yes the WRX was fantastic to drive, no the Levorg is a road car that was there as part of the Subaru driving experience. There are some new cars in the RSI fleet that i will be reporting about at the end of the month however so watch this space as they say.